Here's a scary thought: Beginning next week, anyone visiting Salem should get ready for nine fright-filled nights, complete with voodoo priestesses and vampire queens, spirit conjuration and necromancy, dining with spirits and dancing with the undead. Are the little hairs on the back of your neck standing on edge yet? Good. That's exactly how a team of Salem witches planned it when they set out to create the Festival of the Dead, which officially descends upon Salem on Friday, Oct. 19. Under the leadership of two of Salem's most prominent witches, Shawn Poirier and Christian Day, the Festival of the Dead promises to explore the mysterious, mystical and downright creepy side of Halloween. It's the side that Day believes has been missing in Salem in recent years. "So many people come to Salem just for Halloween," he says. "So rather than just give them the history of Salem, we figured we'd give them the history of Halloween, which in fact was a festival of the dead." By all indications, the Festival of the Dead will not be suitable for the faint of heart. With scheduled events like the Vampires and Victims Ball and a night of conjuring spirits with voodoo priestess Bloody Mary, both Day and Poirier promise there will be frights aplenty. They also promise there to be lots of fun - at least for those who find waking the living dead to be fun. "Across the board we wanted to bring the occult and real witchcraft to Salem," says Poirier. "We wanted to make it fun and educational. We wanted to up the ante ... and build something that would be mysterious, wondrous and magical." Listed among the week's events are a "Night of Necromancy" where Salem witch Jacqui Newman teaches the art of conjuring spirits. Also on tap is the Dumb Supper - a night of dining with the dead. Day says it's one meal that will not be soon forgotten. "People will talk about this in town for a year," he promises. Meanwhile, Salem's Queen of the Vampires Tracy Devine promises lots of surprises at the Vampire and Victims Ball, a macabre dance with the undead that Devine says is "geared toward people who find nothing wrong with sleeping in a coffin, driving a hearse and having blood rituals as an everyday thing." "People can come together at my event, not get picked on or looked at funny and show off all their gothic clothing," says Devine. The Vampire and Victims Ball is not to be confused with the annual Witches Ball, which Day and Poirier tout as being the most exclusive Halloween Party in the entire world. In all, Poirier says the Festival of the Dead will prove that if there is any place to be on Halloween, it's Salem. "We honor our dead and we're going to dance, party and have fun," he says. 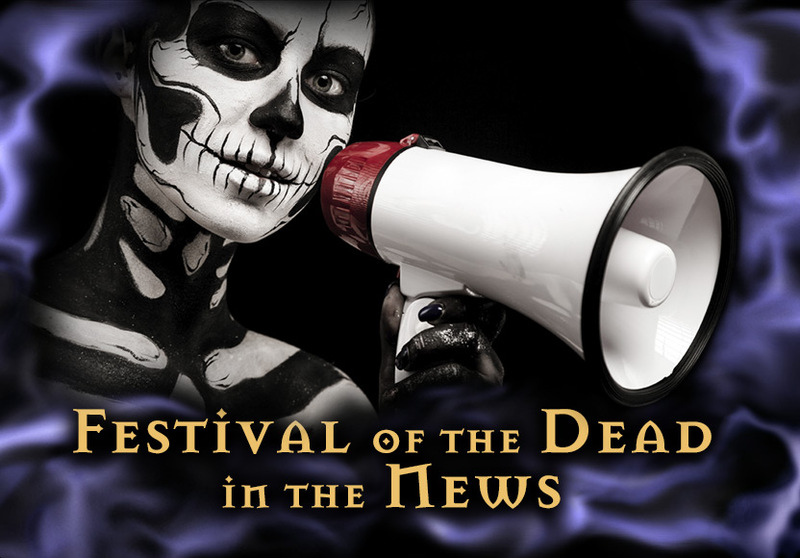 For more information on the Festival of the Dead, call 978-740-9783 or log on to www.festivalofthedead.com.